This tools calculates gauge suitability fo you. A clear, simple statement is displayed advising you if the gauge is suitable or not. Easy to follow instructions are also included. The Gauge R&R MSA Pro tool pack from Adaptive BMS is designed to be simple and easy to use. This tools calculates gauge suitability fo you. A clear, simple statement is displayed advising you if the gauge is suitable or not. Easy to follow instructions are also included. Sources of gauge variation are calculated and displayed. 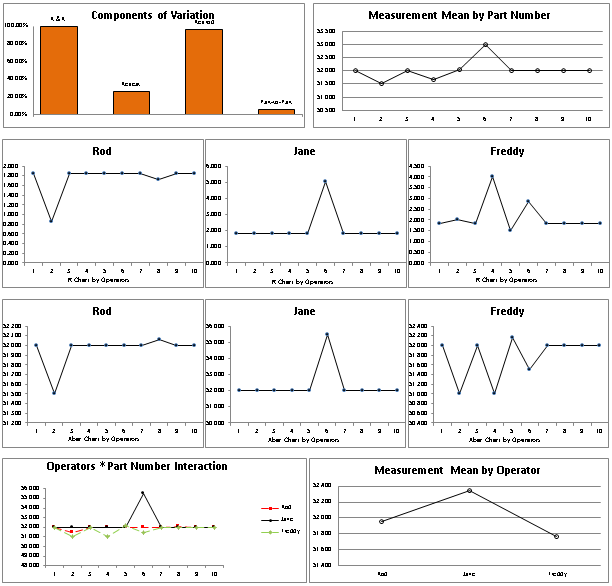 A set of graphical charts is also produced to help further analysis as required. The Gauge R&R MSA Pro files can be used "as is" or they can be modified to suit your organization's particular needs. 1. 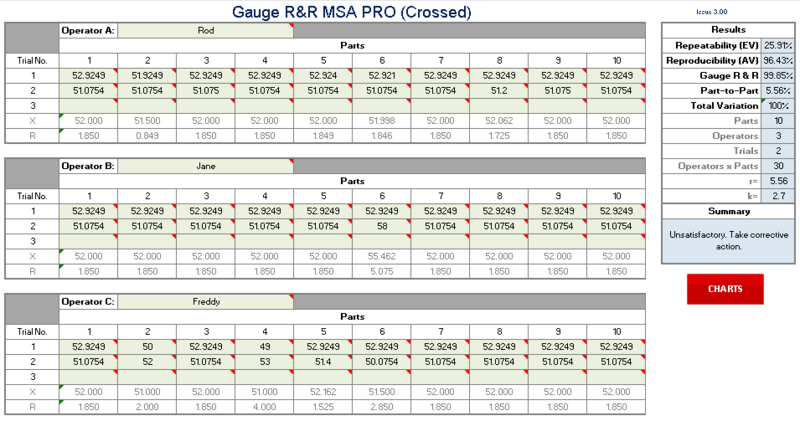 Gauge R&R MSA Pro Microsoft Excel workbook.